January 9, 2018 – Sierra Nevada Corporation’s (SNC) Dream Chaser program passed a major NASA milestone for its Commercial Crew Integrated Capability (CCiCAP) contract with the completion of a successful Free-Flight test, which produced subsonic flight and landing performance data. Milestone 4B validated the spacecraft’s design for a safe and reliable return of cargo services to Earth through a gentle runway landing, signaling the program is one step closer to orbital operations. The Dream Chaser will go to the space station for at least six cargo resupply missions starting in 2020 under a separate contract, NASA’s Commercial Resupply Services 2 (CRS2). The NASA Commercial Crew Program reviewed the data, confirming it fully met or exceeded all requirements and authorized full payment of the milestone. Additionally, SNC collected a significant amount of additional information that will be used for the final vehicle design. The approach and landing test included intentional maneuvers both to assess the responsiveness of the Dream Chaser to control inputs and to measure the resulting stability of the vehicle under very dynamic, stressful conditions. This showcased the aerodynamic capability of the Dream Chaser as well as performance of the integrated computer system that autonomously returned the vehicle to a safe runway landing. These are critical components for orbital missions to and from the International Space Station. “I want to especially thank NASA’s Armstrong Flight Research Center Director, David McBride, the entire Armstrong team, the U.S. Air Force, NASA’s Commercial Crew and CRS2 programs, and our industry partners, including Draper Laboratories, who helped design our flight software. Most importantly, I want to say how proud I am of the SNC Dream Chaser flight and program teams who have performed above and beyond to make the flight and milestone a success,” Sirangelo added. 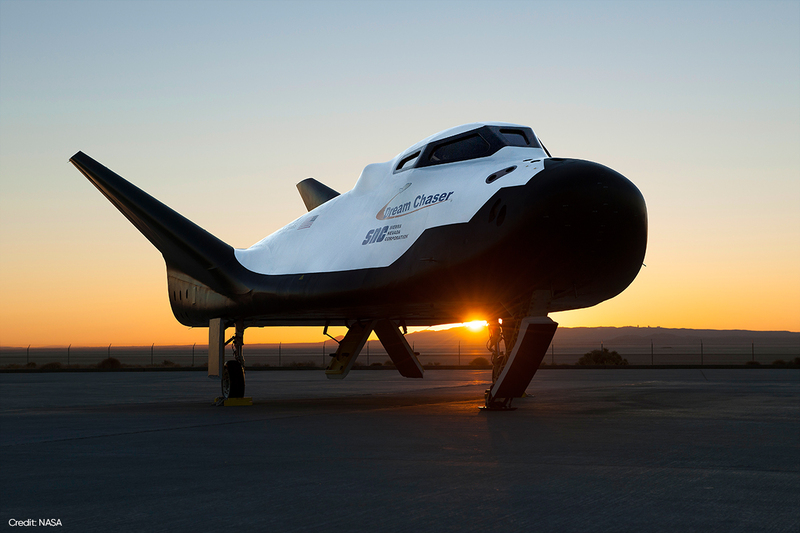 The Free-Flight test of the Dream Chaser was performed at Edwards Air Force Base, California on November 11. The vehicle’s next milestone will be the CRS2 Dream Chaser Critical Design Review, scheduled for 2018.